Conspiracy theory adepts now have a scientific evidence to back their claims that fluoridation of tap water is used to make people dumb: according to a newly published study, the rate of ADHD is much higher in the states where the highest levels of fluoride are found in tap water. The findings suggest our children’s health is affected by it to a significant extent, and the news is going to fuel the debates. Attention Deficit Hyperactivity Disorder rates have recently skyrocketed, with the epidemic affecting some states more than others. A new piece of research could shed light on the problem, and the culprit is likely to make all advocates for drinking bottled or spring water say their aha. 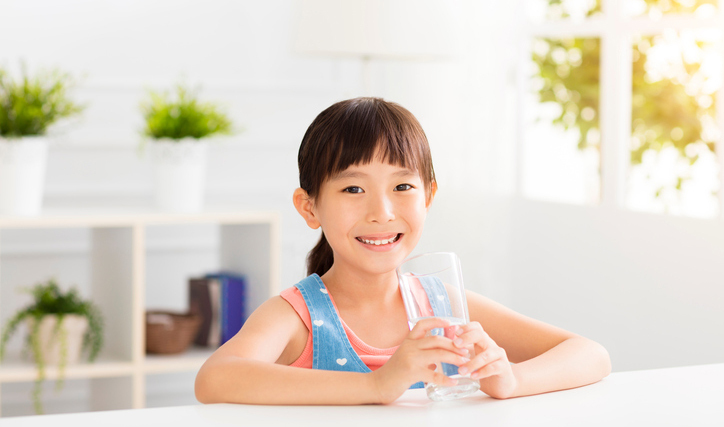 Fluoridation of water is designed to protect our teeth from decay, and it is common practice to add fluoride-based chemicals in tap water. Of course, the measure is not taken in vain: tooth decay really strikes less often if fluoridation is used. However, it has long been discussed that constant exposure to it may lead to other health problems. One of them is already known and really widespread. It is termed fluorosis and causes white, or brown, though such cases are rarer, areas on the teeth, which do not look that pretty. Depending on stage, the disorder, which results from excessive intake of fluoride, may lead to tooth damage. Should fluorosis affect your teeth, you are likely to have to whiten them (which leaves your enamel prone to relapse) or resort to fillings. However strange it may seem that the commonly adopted practice may lead to such health problems, fluoridation’s side effects are not limited to dental issues. A team of Canadian scientists from Toronto University revealed that there is an association between the level of fluoridation in a state and its prevalence of the disorder in question. According to them, in the states where fluoridation is highest, the risk of a child developing ADHD is much higher. In such states as Iowa and Delaware, which are notorious for their high fluoridation, around 14% of children aged 4 to 17 are diagnosed with ADHD. That’s a kind of prevalence worth the title of an epidemic, as it means one in eight is affected by it. Even when the scientists adjusted the results for the families’ socioeconomic status–as it is known that being born to a poor family is also regarded as a risk factor–the association remained strong. Since 1992, the share of the population supplied with water treated with fluoride-based chemicals has increased by 11%, and now makes about 67%. In many districts and states, more than 90% of the population drink fluoridated water. It appears that fluoridation can interfere with brain development at its early stages, as it takes a higher dose to affect the teeth of adults, and children are more vulnerable. It is thus of special importance to drink water with low levels of fluoride if you are pregnant, as the study findings suggest doing otherwise can increase the risk of your child developing ADHD. What can I do if my tap water is fluoridated? Well, you are definitely not alone. Fluoridation is not a thing to lose sleep over if it is within the normal range that is harmless, as natural water found in springs contains some fluoride too. If you are concerned with the issue, you can buy bottled water which is not that rich in fluoride (read labels carefully), or install a system of filters that eliminate iron, fluoride and some other chemicals from the water. Keep in mind that drinking the fad ‘raw water’ can be dangerous, so it is not a good substitute for tap water.